The state Senate’s spending plan cuts funding from the Alaska Marine Highway System – but not a lot. Its version of the operating budget shrinks the ferry system’s fuel budget by $370,000, about 2 percent of the total sought. It also takes $2 million for operational costs out of what’s called the Marine Highway Fund. That holds ticket and other revenues until they’re needed. The House budget put $13 million into the fund and the Senate committee reduced it to $11 million. 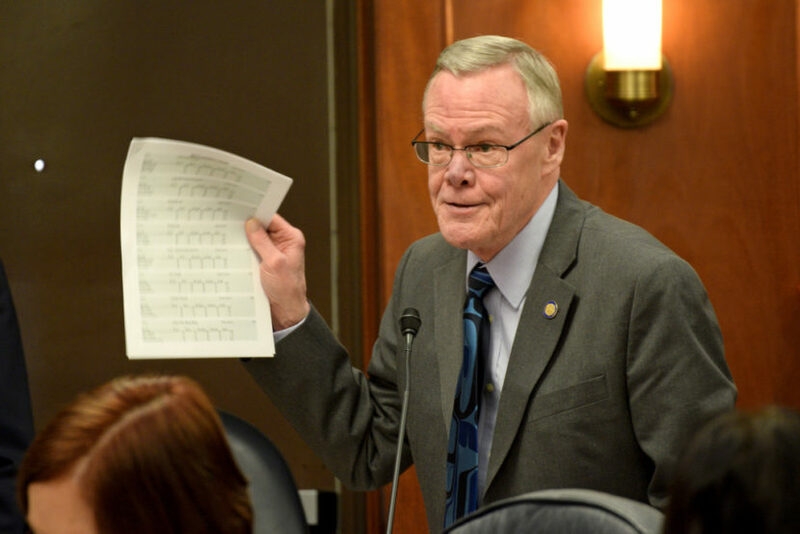 Juneau Democratic Sen. Dennis Egan is one of three members of the Senate Finance Transportation Subcommittee. He objected to the change. “It’s not sustainable. We shouldn’t be spending more out of that fund than we expect to get in ferry revenue. The way to spend more from the ferry fund is to get more people riding the ships,” Egan said. The ferry system came close to shutting down this month because money had been removed from the Marine Highway Fund. That was replaced in a supplemental appropriations bill passed in March. The Senate is still working on its full operating budget bill for the fiscal year beginning in July. During an April 3 meeting, Egan said he would try to restore cuts to Marine Highway Fund through an amendment. “The Alaska Marine Highway System is our road. It just happens to be on water. It needs a stable budget like the rest of the department. Roads, airports and ferries,” Egan said. The Senate has proposed deep cuts to the marine highway budget in previous years.